It used to be that a company’s website had only a few simple pages to it. A homepage, an about page, a page to list your products, and a blog were the essentials. 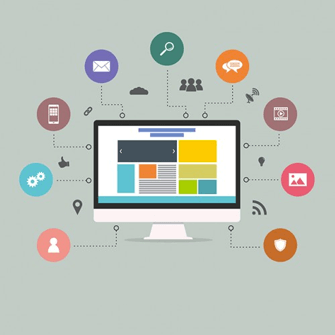 As online marketing has evolved, though, the needs of a company’s website have changed. Websites are expected to have have more than just these 4 pages mentioned above. There’s also the pricing page as well as various landing pages. Perhaps you are vaguely familiar with what a landing page is. But you’re not sure how to make one for your company’s products or services. Maybe you have a few live lead capture landing pages on your website right now, but they’re not converting as well as you had hoped. 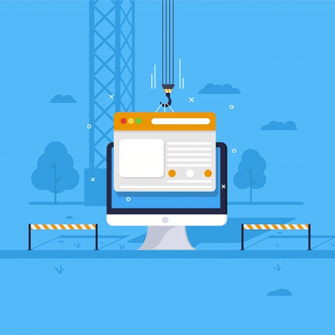 Across six expansive chapters, we will go over everything you need to know about effective landing pages and how to build them. This will include the basics (which will be covered here in Chapter 1) and more advanced concepts. There is something in this guide for people with all levels of marketing skills. Building a powerful and responsive landing page begins here. Let’s begin with a simple but important question: What is a great landing page? Imagine you’re skydiving. As you get closer to the ground, you pull out your parachute. On the ground are several landing pads for you to land on. These get you back on your feet safely. Now think of the Internet as the sky. There’s so much out there that a person (i.e. your lead) might see. Eventually, the lead knows what they want, and so they pull on their parachute to drop down. The landing pad in which they regain their footing is the landing page. These pages are built with a drag and drop landing page builder or a simple landing page software. Landing pages are designed to provide more information about a specific product or service. Their ultimate business goal is to drive sales and conversions. You should have a landing page for each product or service you sell. For instance, your company sells training courses, eBooks, and webinars. Then you’d need a separate landing page for each product. If you’re a marketing firm that provides social media management, email newsletter guidance, and content marketing services, then you’d need a landing page for all three of those services as well. Landing pages are often tied to advertisements you see on the Internet. These may be on other websites or across social media. When a lead clicks the link, they will be brought directly to your landing page. That’s why the specificity mentioned above is so necessary. No one wants to click an ad about your social media services and then be redirected to a landing page about content marketing. That’s a fast and easy way to lose customers. It’s important to note that your landing page is not your homepage. It should not contain the same information as your homepage. 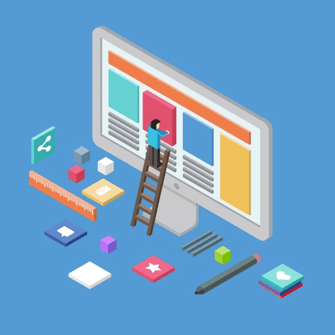 The copy on your homepage might make a brief mention of your services or products, but a landing page should go into much more detail. What are the must-have elements for a Landing Page? Strong copy: Copy is the backbone of a landing page. The copy should educate the lead and drive them to action. If the landing page is intended to sell, then the copy should push for the sale without being too in-your-face and sales-y. 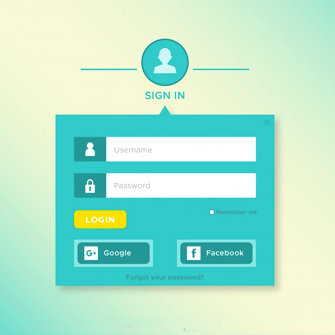 If the landing page is intended for lead generation, then the opt-in form will be the main element. In that case, copy will often be short and crisp. A selling proposition: This is where you’ll make your offer, according to your goal. The selling proposition should be written in such a way that your products or services come across as unique as possible. To figure out the angle of your own selling proposition, you must ask yourself "What does your product/service do best?". A variation of this question is "what problems does your product/service solve for your customers?". If you can identify a gap that your product/service fills, this is another direction you can go in. Product/service benefits: This is different from the selling proposition. The benefits of your product/service should be littered across the page in its copy. Again, avoid being overly sales-y here. Let the product or service speak for itself. Social proof: Social proof includes reviews and testimonials from those who have tried and loved the product/service. The inclusion of social proof is a psychological trick, as leads may be more likely to trust the word of their peers than a random company trying to sell them on something. A call to action: Often abbreviated as a CTA, the call to action is the all-important closer that every landing page must have. Whether this is a short paragraph or a handy clickable button, do not forget your CTA! This is how you encourage the lead to take the next step. You might invite them to click the pricing page, call or email you for a consultation, or simply buy your product or service then and there. What are the categories of Landing Pages? As mentioned above, landing pages are often used to drive sales. There are plenty of other types of landing pages that can help you achieve many marketing goals. Let’s talk more about landing page examples. 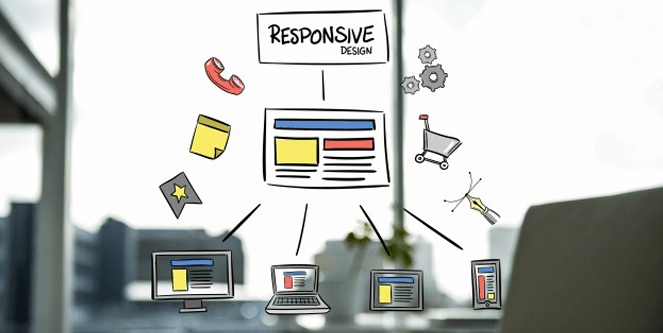 If you were paying attention to the first section of this chapter, then you should know how we specifically differentiated between your homepage and your landing page. However, sometimes you will see other marketers transform their homepage into a landing page. This is not to your benefit to replicate. An individual landing page is only supposed to appeal to a specific segment of your audience. Let’s use the marketing firm mentioned in the first section of this chapter once again as an example. This firm offers social media, email marketing, and content marketing services. Imagine if their homepage was only about social media services. What if a lead who’s interested in content marketing finds the homepage? They’re going to be confused and move on to continue their search on another site. They lost their business to their competition. The conversion rate of using your homepage as a landing page is pretty low, so don’t do this unless it’s only meant to be temporary. Create personalized landing pages wherever possible for better conversions. If you’re a product-oriented business, then you’ll want a product detail landing page. This page outlines your product, and also includes its benefits. You might include testimonials or a video of the product in action as well. This isn’t a pricing page, but you should still include the price of the product in your copy. The only purpose of a product detail landing page, really, is to sell. To make this page as effective as possible, only talk about one specific product per product detail landing page. Keep the bells and whistles to a minimum to avoid distractions. Don’t overload the reader with too many testimonials or videos; the copy is paramount. Unlike the product detail landing page mentioned above, the lead generation landing page is less sales-y. Instead, you’re enticing the lead to offer their contact information, to give you their email address. They will be subscribed to your email newsletter. Again, this is not a sales page. You don’t necessarily need a lot of copy here. You might just write a paragraph letting the lead know what they might receive if they subscribe (such as exclusive access to a guide or even a freebie). Once the lead becomes a member of your email list, you can then use follow-up emails as the chance to present small offers and, eventually, your core offer. Lastly, there’s the click-through landing page. This is like an abridged version of the product detail landing page. You’ll present some information about the product or service, typically in a bulleted format. The copy will be benefits-focused. There may be an accompanying video for more information. The main point of this landing page is to push the lead to click to the next page, which is typically the pricing or checkout page. Landing pages are individual pages on your website that are meant to provide more information about a product/service and drive a sale (i.e. conversion). You will need a landing page for each product or service you have to best appeal to your various audience segments. It is not recommended that you make your homepage into a landing page. While many landing pages are aimed at selling a product or service, others are designed to get leads to subscribe to an email newsletter or just to click through to another page. No matter which type of landing page you want to design, it should include several must-have elements. These are good copy, a strong selling proposition, a list of benefits, social proof in the form of a testimonial or review, and a CTA. In Chapter 2, we will delve into what you can do to make a landing page shine for your business. If you have a hard time driving engagement to your landing page, don't miss it.